Click Email Accounts in the Email section. 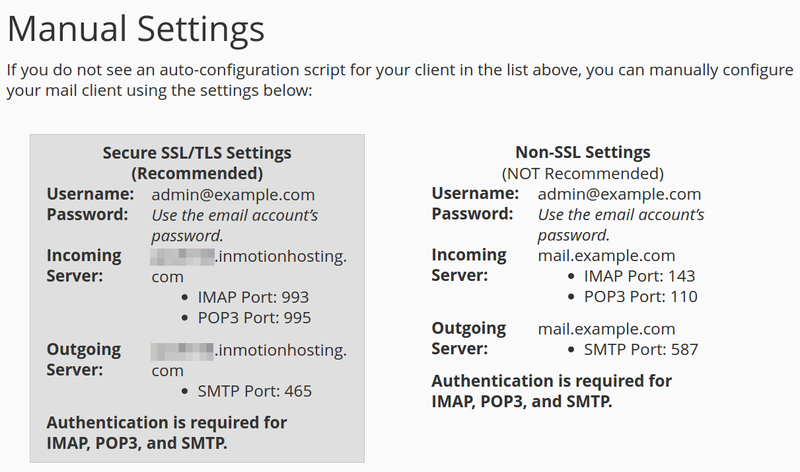 Navigate to your email and click Set Up Mail Client to the right of your email account.Note! If there is no email account listed, you will need to create one. Click your username in the top-right corner. In the drop-down menu select Configure Mail Client.